Here's some helpful information that is ideal for entrepreneurial folks who are thinking about starting a sports agents business. Read these tips before you open up shop. Thinking about opening a sports agents business? We tell you what you need to know to get started. The fantasy and the reality of owning a professional sports agency are two entirely different things. Behind the glitz and glamour of rubbing shoulders with high profile athletes are endless workdays, excessive travel requirements and low initial returns on your efforts. In the current sports climate, it's not practical to launch a sports agency unless you have spent time working in the industry. Most sports agents and agency entrepreneurs have backgrounds in marketing, finance, law and/or communications. Additionally, you need league certification for each sport in which you represent clients. Going from an agent to an agency owner is much more doable than launching an agency without prior experience. With the right business strategy, you can launch your startup with a pre-existing client base, a network of industry contacts and a firm grasp of the inner workings of athletic representation. As you begin to transition from an agent to a sport agency owner, your perspective will need to change from a job mentality to a business ownership mentality. Although you may continue to personally handle the bulk of your firm's agency functions, you will also need to think about things like hiring, cash flow and countless other things that are vital to your operation. On top of standard startup tasks like securing office space, branding and marketing will command much of your time in your agency's early days. Since sport agents are supposed to be master marketers and communicators, your ability to create and market a strong brand identity for your agency will speak volumes to prospective clients. Once your agency is on its feet, it won't be long before you're itching to pursue an aggressive growth and expansion strategy. Healthy businesses grow, but sports agencies need to be careful to avoid growing at the expense of their existing clients. If your level of representation suffers due to a growth initiative, you have probably failed to perform adequate capacity planning. But with the right planning, you can quickly expand your sports agency by either bringing in new, high profile agents (and their clients) or adding new sports to your areas of specialty. There are benefits and drawbacks to each approach, so you'll need to carefully weigh your options and determine which growth strategy is right for your business. 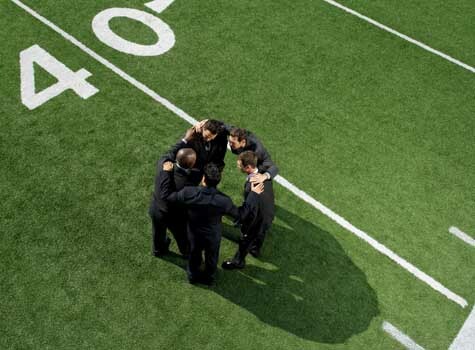 The idea of writing a business plan is intimidating to most aspiring sports agents business owners. A good sports agents company business plan, however, is a reality check that gauges your business instincts against hard industry numbers. Well in advance of opening a sports agents business in your area, it's a smart move to see what the competition looks like. Try our link below to find competitors nearby. After following the link, enter your city, state and zip code to get a list of sports agents businesses in your area. If you want to open a sports agents business it's a smart move to learn from folks who are already in business. If you think owners of nearby sports agents businesses will give you advice, think again. The last thing they want to do is help you to be a better competitor. Fortunately, somebody who runs a sports agents business outside of your community will be much more likely to talk with you, given that you don't compete with them in their area. Many business owners are happy to give advice to new entrepreneurs It can take a while to find an entrepreneur who is willing to talk, but it's well worth the effort. What's the best way to find a sports agents business owner in another community? Branding a new business takes time, resources and a lot of hard work. Given the choice, most new sports agents business owners would prefer to buy an existing brand rather than invest the time and energy it takes to build a new brand. Buying a business to get an established brand is a common strategy among growth-minded sports agents business entrepreneurs. As a startup, the best you can hope for is to gradually develop brand awareness over a period of months and years. Acquiring an established sports agents business brand, on the other hand, has the potential to deliver the kind of brand recognition most startup can only dream about. The chances of surviving in business are greatly increased if you purchase a franchise in lieu of doing everything yourself. If you planning on starting a sports agents business, you should investigate whether purchasing a franchise might simplify your entering the business. What do you have to say about starting a sports agents business? This site for small business owners and entrepreneurs greatly appreciates your feedback. Already Own a Sports Agents Business? Do You Sell to Sports Agents Businesses?